Greetings from your WoodWeek wood news team. 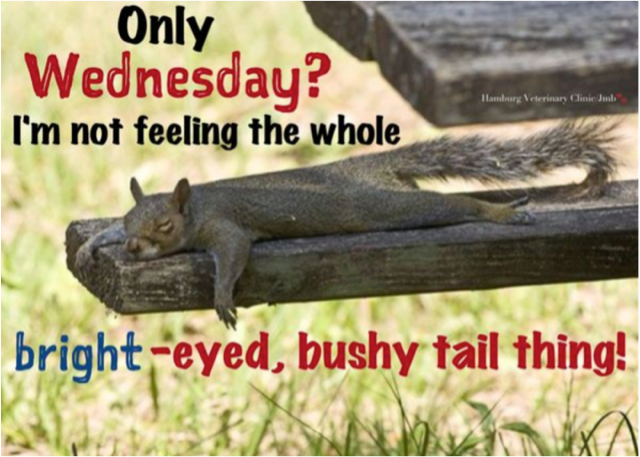 Today we have a mix of news while the forecast for business and weather still continues to shine for the most part. 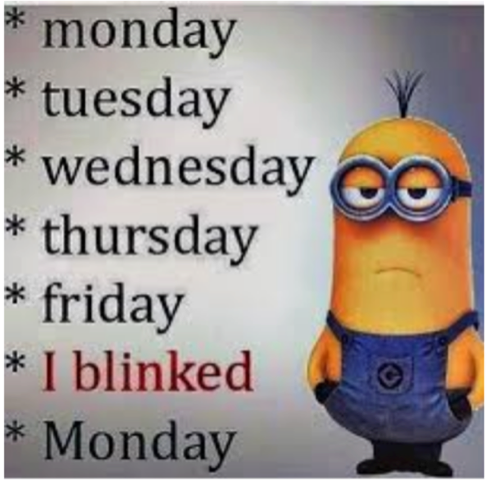 Read on, I can assure you it ends well with something for a laugh in your busy week. There’s another sign that the current administration in the Beehive continues to look favourably on our potential in the forest industry. A joint forest harvesting productivity work programme has been launched to boost forest productivity, technology, safety and skills and reduce environmental impacts. It’s over $29 million, over 7 years and a collaboration between Forest Growers Research Ltd (FGR), a consortium of forest owners and machinery manufacturers and MPI. Other industries are now wanting to take advantage of forestry's beneficial environmental credits as Air New Zealand, Contact Energy, Genesis Energy and Z Energy join forces in carbon afforestation partnership announcing the formation of Dryland Carbon LLP (Drylandcarbon). This is a limited liability partnership that will see the four companies invest in the establishment of a geographically diversified forest portfolio to sequester carbon. Ant Beverley, CEO, says the partnership is a terrific example of Kiwi companies coming together for a greater good, and that climate change mitigation and commercial benefit are not mutually exclusive. 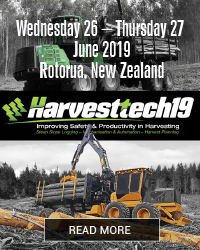 In addition to the very latest in harvesting technology, new innovations and new operating practices that are making such a huge difference to New Zealand, Australian and North American harvesting contractors, an extra bonus for harvesting crews, harvest planners and forest managers has been added to our HarvestTECH 2019 conference in Rotorua on 26-27 June. 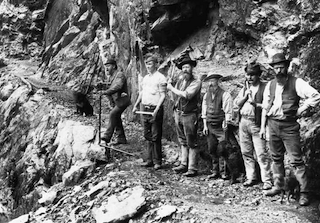 Logging historian, Paul Mahoney, now working as the Manager National Heritage with the Department of Conservation will be speaking on technologies from days gone by. Keeping with carbon positives, in Australia, farmers using biochar can now be paid through regenerative agriculture. The first soil carbon credits in Australia were issued on Monday to a farm in Victoria which used an invention developed in the Gippsland Region called Soilkee Renovator and mulcher to produce biochar. Today we also bring you sad news that well-known timber specialist, Wayne Miller passed away suddenly over the weekend. We also have a nice long tribute to the late Don Finnegan which ran in the Waikato Times earlier this week. We pass on our condolences to their family, friends and their many colleagues across our industry. Lumber trade: Leading indicator for log exports? Boosting forest productivity, technology, safety and skills and reducing environmental impacts are at the heart of a new programme announced last week. – Forestry Work in the Modern Age (Te Mahi Ngahere, te Ao Hurihuri) is a new $29.3 million, 7-year collaboration between Forest Growers Research Ltd (FGR), a consortium of forest owners and forestry machinery manufacturers and the Ministry for Primary Industries (MPI). It has its sights on developing a new in-forest harvesting and log sorting system specific to New Zealand’s forests, using automation and robotics – a first for New Zealand. “Technology is increasingly important in improving safety, skills and productivity, and protecting the environment,” says FGR Chief Executive Russell Dale. “Our industry relies on people, but labour shortages and rising costs in harvesting forests and transporting logs are holding the industry back and reducing our ability to grow. “Our new programme with MPI aims to automate the tasks after felling that have traditionally required substantial labour. These include log branding, log sorting and scaling. MPI’s Director Investment Programmes Steve Penno says at the heart of the new programme is creating sustainable benefits for New Zealand, by delivering economic, environmental and social outcomes. “This new programme brings key industry players together to tackle common challenges facing our forestry industry, and will deliver solutions that keep people safe, and boost their skills and capability,” says Mr Penno. “It’ll also help to bridge the gap between demand for our logs and the shortfall in labour. All of these are essential for a thriving forestry industry. FGR’s Harvesting Programme Manager Keith Raymond says as harvesting shifts to forests planted in the 90s and onto steeper land in smaller, more isolated holdings, the industry faces the challenge of reducing costs and improving efficiency to maintain our international competitiveness. “Current technology and processes mean logs are handled between eight and twelve times before they’re loaded for export. 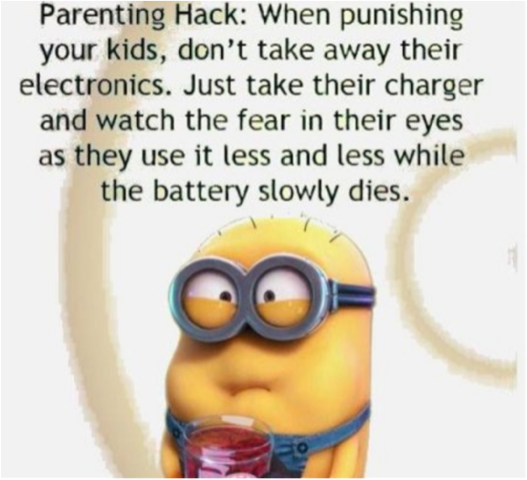 This adds time and cost. “Unless we make a fundamental shift in our forest harvesting operations, New Zealand may have difficulty meeting demand and remaining competitive. We believe our programme can deliver this shift. MPI and the industry partners are finalising the contract for the programme, which is expected to deliver operational cost savings across industry of $27.5 million per annum by 2025, increasing to $76.8 million per annum by 2031. A pilot programme will see release to work prisoners training and working in the forestry sector as part of the One Billion Trees Programme, Forestry Minister Shane Jones and Corrections Minister Kelvin Davis announced on Friday. The pilot – jointly developed by Te Uru Rakau and the Department of Corrections - will involve up to 15 prisoners from the Northland Regional Corrections Facility employed to plant seedlings as part of the 2019 season. “It is these sorts of initiatives that are really at the core of what the One Billion Trees Programme is all about,” Shane Jones said. On Wednesday 13 February the New Zealand government announced the proposed major changes to New Zealand’s Vocational Education and Training (VET) system. Competenz, one of the country’s largest industry training organisations (ITOs), says the announcement by Education Minister Chris Hipkins proposing reforms to the sector could undermine critical workplace and apprenticeship training – training that is vital in addressing New Zealand’s skills shortages. “The changes the government has proposed in its Vocational Education and Training review are more complex and far-reaching than we expected," says Competenz chief executive Fiona Kingsford. "It’s unprecedented. There is no doubt the VET system needs modification and funding needs to be realigned to deliver what our industries need – but these changes are too radical. “In a time of critical skills shortages, the last thing we want is a reform that risks undermining workplace training and apprenticeship programmes.” New Zealand’s skills shortage is acute. The engineering industry alone will need another 12,000 engineers by 2022. “If we start this reform in 2020, there’s no way we’re going to hit that target. Yes, the system needs reform and yes, we need to address the funding inequalities, but in our opinion, the VET changes are not the way to do it,” says Mrs Kingsford. Research has shown that for every NZ$1million of government investment into tertiary education, the industry training system produces 306 qualified people – people who are able to immediately contribute to New Zealand’s economy - while polytechnics produce 50. The consultation timeline is very tight; we have under six weeks to respond. Submissions are due by Wednesday 27 March 2019. Wayne passed away suddenly while on holiday in the South Island. MILLER, Wayne Robert. Died suddenly on 16 March 2019 aged 66 years. Soul mate, best friend, dearly loved and cherished husband of Jan. Dearly loved father of Rob and AJ, father-in-law of Shane. Much loved grandfather of Charlotte, Ruby, Harriett and Alfie. Cherished brother of Heather and her husband, Kevin. The Funeral Service for Wayne will be held at Osbornes Funeral Directors Chapel, 197 Old Taupo Road, Rotorua on Saturday, the 23rd of March at 11am. Thereafter private cremation. No flowers by request. 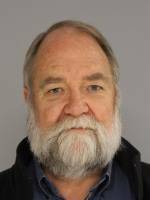 Wayne joined FRI in 1976 as a scientist in the Wood Drying group after graduating as a chemical engineer. After a stint at Berkley University undertaking a Phd program he returned to NZ and took over leadership of the drying group from John Kininmonth. Wayne soon gained a reputation for the rigorous application of a sound understanding of first principles, balanced by a good engineer’s approach to reaching practical solutions, to a range of wood processing issues. He was the right person in the right place to allow NZ to adequately process the ‘wall of wood’ arriving from NZ’s successful introduction of plantation softwoods and play a pivotal role in transforming wood drying from an art to a science. During this time Wayne initiated work into kiln auditing, energy modelling and data acquisition, and this work formed the basis for FRI’s very successful kiln control software ‘Dryspec’. The DryspecTM kiln control system, led the world in timber drying control and management. It led to optimal uses of resources for drying such as labour and energy, and also enabled the individual companies to better manage their drying processes and quality management systems. Wayne left FRI in the early 90’s and his position was then filled by another to be influential individual, Tony Haslett. Wayne was also instrumental in the establishment in the 1980’s, of the ”Drying Multiclient” group - one of the first public-private sector research partnerships. Almost every company in New Zealand with a commercial interest in drying participated, resulting in extremely rapid uptake of research results. Even after he left FRI he maintained close and valued relationships with Scion personnel via various industry bodies such as WQI and SWI. Not only will his intellectual rigour, innovative sense and vast experience be sorely missed. Wayne’s ever openness to collaboration and sharing, his willingness to bounce ideas either way and his outright decency will be sorely missed by all of us and his passing leaves a large gap not only in our collective capability but in our hearts. Vale Wayne! Air New Zealand, Contact Energy, Genesis Energy and Z Energy join forces in carbon afforestation partnership - Air New Zealand, Contact Energy, Genesis Energy and Z Energy have today announced the formation of Dryland Carbon LLP (Drylandcarbon), a limited liability partnership that will see the four companies invest in the establishment of a geographically diversified forest portfolio to sequester carbon. Drylandcarbon will target the purchase and licensing of marginal land suited to afforestation to establish a forest portfolio predominantly comprising permanent forests, with some production forests. The primary objective is to produce a stable supply of forestry-generated NZU carbon credits, but the initiative will also expand New Zealand’s national forest estate. These credits will support the partners to meet their annual requirements under the New Zealand Emissions Trading Scheme. Drylandcarbon will be managed by Lewis Tucker & Co who will provide management services throughout the life of the partnership. Air New Zealand, Contact Energy, Genesis Energy and Z Energy will not have day-to-day involvement in the running of the business. Drylandcarbon CEO, Anthony (Ant) Beverley, says the partnership is a terrific example of Kiwi companies coming together for a greater good, and that climate change mitigation and commercial benefit are not mutually exclusive. “The partnership intends making a serious contribution to the acceleration of afforestation and planting in New Zealand, at a time when carbon sequestration and climate change mitigation are becoming increasingly important to all of us. Drylandcarbon’s afforestation plans are closely aligned to a number of key Government objectives and will deliver a range of environmental and sustainable development benefits to our regions, while also delivering commercial benefit to the four partners over time. “The portfolio will be initially established with high sequestration capacity exotic species, however, the majority is expected to consist of permanent forests. The intention is to transition these permanent forests to native forests over the long term. Drylandcarbon is currently engaging with both farming and regional communities around the establishment of carbon forests on private land. In China, government statistics show the official PMI of large-sized enterprises was 51.5%, a slight improvement on the previous month but for medium and small enterprises the index was below 50 signalling a worsening situation. 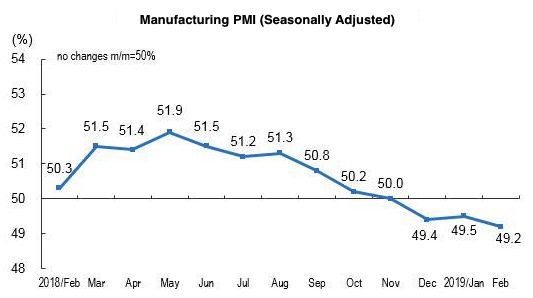 This is the third straight month that the PMI has fallen below 50 for the SMEs. A reading above 50 signals expansion in the sector, while one below 50 indicates contraction on a monthly basis. At the opening of China's parliament, Li Keqiang warned the country faces "a tough struggle," forecasting slower growth of 6% - 6.5% this year, down from a target of around 6.5% in 2018. Growth in China is affected by the trade dispute with the US and to deal with the slowdown the government plans to boost spending, increase foreign firms' access to its markets and cut taxes. Li said the government would cut around 2 trillion yuan in taxes and company fees as well as reduce the VAT for the transportation and construction sectors. At HarvestTECH 2017 delegates asked us to bring back that story teller with that amazing footage along with the tales and anecdotes he spun of early harvesting operations around New Zealand. So we've made it happen, just for you. Titled “Sawdust and Sweat – Technology from Days Gone By", delegates are going to get an entertaining pictorial walk-through, based on nearly two decades of gathering information and rare footage and talking to the early bushmen and sawmillers, of early NZ logging operations. They were all involved in toiling tirelessly in the back blocks meeting the ever-increasing local need for construction timber from the country’s native forests. For decades Paul Mahoney has collected NZ forest industry history, especially interesting stories and images. This has been as a personal interest hobby and also as part of his heritage job with the Department of Conservation. Paul’s book entitled Bush Tramways sold out years ago. He has given countless talks at forest industry events over the years. Recently he consulted overseas with UNESCO on three potential forest industry World Heritage Sites. 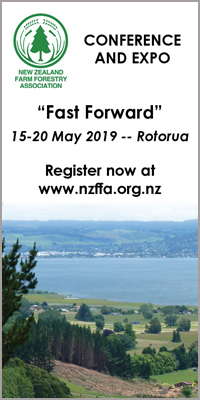 Registrations to our biennial harvesting gathering in Rotorua on 26-27 June are flowing in. Details on the event, programme and registrations can be found on the event website, www.harvesttech.events. This event sold out every time in the past, so register early if you are looking to secure a space for you and your crews. Australian farmers using biochar can now be paid through regenerative agriculture. - The first soil carbon credits in Australia were issued by the Clean Energy Regulator on Monday to 'Corporate Carbon for their Grounds Keeping Carbon Project' on a farm in Hallora, Victoria which used an invention developed in the Gippsland Region called Soilkee Renovator and mulcher. Given the World's oldest scientific biochar field trial at the NSW DPI Wollongbar site on the Far North Coast of N.S.W. has shown "field-aged biochar enhanced the belowground recovery of new root-derived C (13C) by 20%" (Van Zwieten et al, 2017) , farmers that use biochar made to IBI standards should seriously consider registering a project under the Sequestering carbon in soils in grazing systems method of ERF. Forester Don Finnegan was one of the last of the New Zealand Forestry Service loggers to work the Pureora Forest west of Lake Taupo in the 1970s. His work at that time laid a vital foundation for conservation efforts this century when he returned to aid efforts to save the Kokako. Born in Castor Bay, Auckland, the young Don first started off as a builder but was soon packed off to the New Zealand Forest Service Woodsman Training School in the Kaingaroa Forest village south-east of Rotorua. Long-term friend Warren Geraghty, who started work with Don, said the training scheme taught "the whole forest growing industry" from climbing trees to 20m to picking seed pine cones, and working in the nursery, planting, pruning, logging, and management. "During the 1970s we were still using axes to thin pine trees, so we actually saw the end of the history of that tool being used in the general forest work of tree felling." Don used the skills taught at Kaingaroa to become a competitive axeman, winning one of the sport's highest honours, the Bill Shelford Memorial Trophy, and organising many chopping exhibitions at the Auckland A&P show. In those days NZFS workers were posted around the country and the young Don was sent off as a Logging Officer Under Training (Lout) in the Rotorua region, where for a while he worked on weighbridges checking logging trucks. This brief stay near the town allowed him time to meet Christine, and they married in 1973 in Ohinemutu before moving to the Kaingaroa village and the Pureora Forest. The forest is perhaps best known today as one of the last native podocarp forests to be opened up for logging and the site of one of New Zealand's most significant conservation battles when in 1978 protestors occupied platforms built in treetops. In Pureora the NZFS instituted selective logging as opposed to clear felling, at the time an important step in felling chosen native trees while attempting to preserve as much as possible of the forest. After Pureora Don and Christine took on a two-year bilateral aid stint on the Samoan island of Savai'i paid for by the NZ High Commission. He spent the time teaching locals how to use and maintain chainsaws. The NZFS was undergoing extensive change when the Finnegans returned in the early 80s and Don left the service to take up a position with joinery and timber merchants Henderson and Pollard where he was made second in charge of the company's Topini Forest north of Wellsford. Thereafter he held a similar position with Carter Holt Harvey at the Whitford Forest before a posting to Willow Flatpine plantation in Hawke's Bay. Used to machinery and a lover of anything with a large engine, Don joined South African-based logging machinery company Bell Equipment. Over the years Don became an acknowledged expert in forestry machinery and was a strong advocate of the correct use of heavy machines to increase the safety of loggers. After many years on the move, Christine says Don preferred to stay close to home on their 14-ha block west of Lake Karapiro that they purchased in 1999. On a whim Don bought grandsons Jamie and Brodie a hunting bow for use during their visits to their Lakeview block. Intrigued, Christine had a go, found she enjoyed bow hunting as a sport, and the couple set up the Lakeview Archery Club. 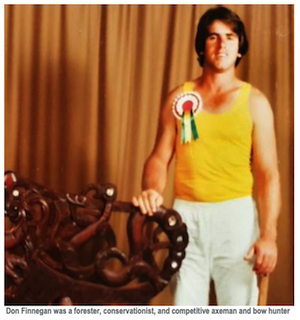 Don was tremendously proud when Christine went on to win medals internationally as part of the New Zealand Black Arrows. The club is now well-known on both the national and international bow hunting circuit. Don died suddenly at Lakeview and his funeral, at his request, was an open-air affair with marquee and a pig on the spit. Archers were in attendance as an honour guard of sorts, with one using a longbow to fire a final arrow up the hunting gulley to mark a memorial site for a man who spent much of his life in the bush. Global Softwood Lumber Trade - In 2018, global trade of lumber fell for the first time in five years, with total trade down 7% year-over-year. The four largest importing countries, the US (-18%), China (-5%), the United Kingdom (-13%) and Japan (-6%) all imported less in 2018 than in the previous year. Much of the decline was the result of weaker economic prospects and reduced housing starts. China Lumber markets– Lumber imports to China fell for two consecutive quarters to reach 5.9 million m3 in the 4Q/18. This matches the pattern from previous years of declining import volumes in the third and fourth quarters of the year. Total imports for 2018 were down 2.3% from 2017 but still the second highest volume on record. Now, here's something you probably didn't know ... Forests have become popular travel destinations in China, with gross output of the industry hitting 1.5 trillion yuan ($224 billion) in 2018, official data showed. In contrast, China's forest tourism industry yielded an output of 1.15 trillion yuan in 2017. The number of forest trips rose to 1.6 billion last year, a new bulletin issued by the national afforestation authority showed. The National Forestry and Grassland Administration has recently released a guideline promoting the forestry industry, vowing to expand forest tourism while conserving natural resources. In 2018, trips to forests grew by 15 percent year-on-year to account for nearly 30 percent of total domestic travel in China.